This is the third in a series of articles you will see from us in 2019 about meshes we have been working on. The March mesh showcases a golf club – specifically a golf driver. We all know that PGA tour professionals hit the gold driver very hard. PGA Tour statistics show that tour professionals have a driver club head speed of up to 130 mph. To resolve these speeds and model the aerodynamic flow around the golf driver at that speed, a good Pointwise mesh will be required. 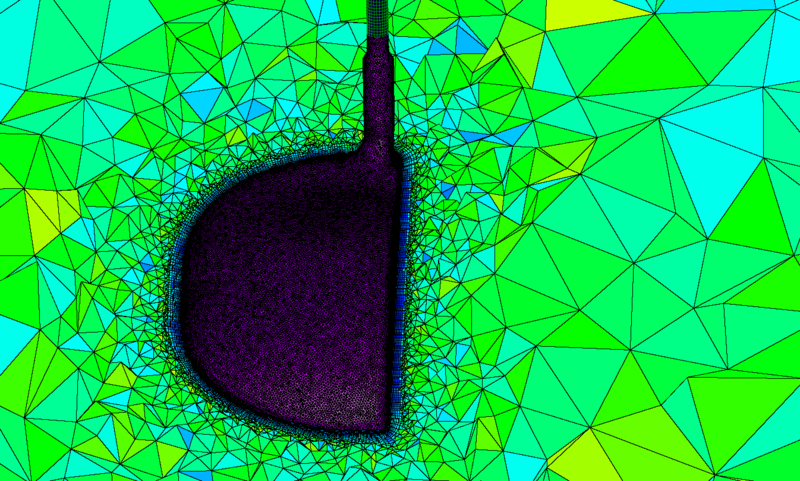 We have used Pointwise’s T-Rex functionality for growing a high quality inflation in viscous boundary layer. T-Rex is the Pointwise’s most advanced and automated hybrid mesh generation method. It was introduced in Gridgen in early 2007 and has been developed and enhanced continuously since. T-Rex generates hybrid meshes that resolve boundary layers, wakes, and other phenomena in viscous flows by extruding layers of high-quality, high aspect ratio tetrahedra that can be post-processed into stacks of prisms. Figure 1, 2 and 3 show close up of the driver head, showing the T-Rex mesh growing off the walls of the club head and driver shaft. Pointwise can easily handle hybrid meshes, as shown with tetrahedral and structured hexahedral meshes in Figure 1. Figure 2 – Cut plane of driver head with surface mesh. Figure 3 – Top view of club head. The whole length of the driver shaft is shown in Figure 4, where structured cells have been used to model the cylindrical shaft. Finally, source boxes (Figure 5) are easily included to resolve flow downstream of the driver head in the bluff zone. 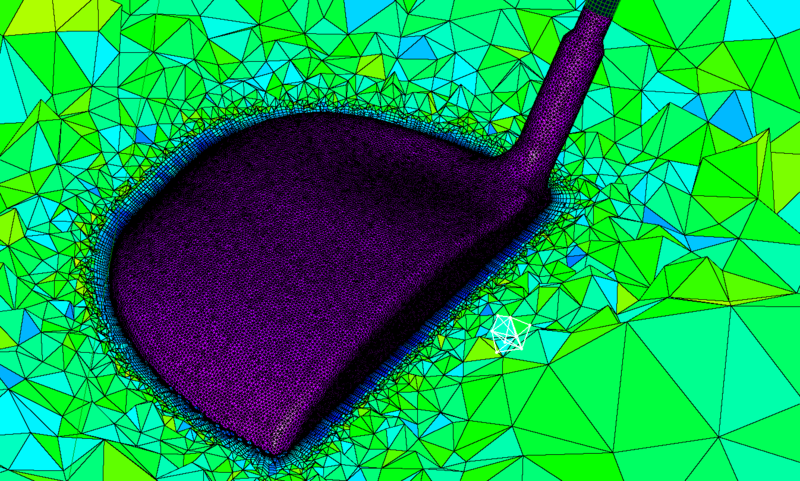 Figure 5 – top view of source box used for finer mesh resolution downstream, of the club head. Thanks for reading, the next edition will be April 2019. Until then, happy meshing!